This past summer, my friends and I were talking about medications that doctors prescribe us and how it can be overwhelming with the amount and how easily it is prescribed to ourselves, family members and other people we know. Then one of my friends was telling me about how her little brother has been prescribed dozens of medications for his ADHD and other disorders before he even turned 10. I thought that this was insane and questioned why there wasn’t any other option or type of therapy for these children that didn’t involve the use of so many drugs. Then I talked about this issue with my mother who works in a school district as the head of a department that works with children who have mental disorders such as ADHD, bipolar disorder, etc. After discussing it with her I came to realize that this very topic that bothered me is actually a controversial topic amongst many doctors, parents, and others. After thinking long and hard about what to write for my last blog post for this period, I thought that this would make an interesting one. Today, it seems as if every other child is on some sort of medication to aid them in acting in a more “normal” manner. The number of children that are diagnosed with a mental disorder and those on a psychiatric drug has certainly increased and many people don’t know why this is. 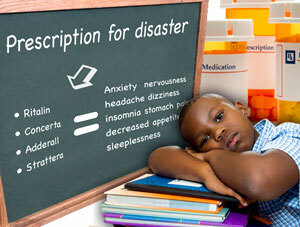 Many teachers and/or parents notice seemingly abnormal behavior in their children and turn to doctors for help. Many times these doctors diagnose the children with medication without guarantee that it will solve the child’s problem. When the medication doesn’t work, doctors usually prescribe 1 2, 3, or more drugs trying to fix the problem. What has caused a lot of controversy is the question, at ages 4 or 5 is this really the right thing to do? Was the diagnosis even correct in the first place? Where is the therapy before trying countless medications? 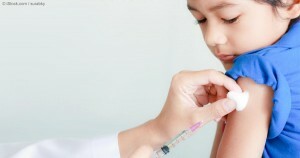 In my opinion, the ridiculous increase in the medicating of children is due to the over diagnosing and misdiagnosing of children. Everyone can have their opinion on this matter, but it all comes down to the doctor’s diagnosis and the parents decision on whether to medicate their child or not. In this article it suggests that behavioral therapy may cost more resources and time, however, the results can last longer than just sticking a child on a drug. It also states that we may not always know if a child is displaying behaviors that link to ADHD, or rather just a hyper child who likes to move around a lot. Many times, if the child has a few symptoms of the disorder, doctors will suggest a drug to parents saying that will fix the problem instantly. This article raises question that percentage of the kids that are diagnosed with behavioral disorders may be misdiagnosed and are on unnecessary medication. We do not know the long term effects of putting a child who apparently has ADHD or bipolar disorder at 2 years old on 3-4 medications. These children’s brains are not even close to fully developed and it makes me wonder why we are not a little more cautious about this situation. As there are many people and examples that support my position, I am not a scientist, nor am I a doctor. There are many people who disagree with my view and for good reason. By and large, doctors are not terrible people who are always wrong. I believe that there are children that need medication to help them behave normally, however, I do not believe that children should receive medication until their teenage years unless the problem is severely out of control. I also think that children should not be diagnosed so easily and to the degree that they are. Many children grow out of, or rather learn to control their behaviors as they grow into adulthood. In my opinion, it would be a good idea to start this process at a young age with psychotherapy and working closely with the child at school and home. 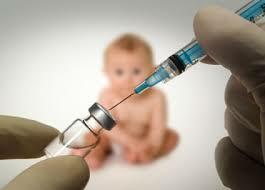 This would give the child a chance to develop, instead of shoving countless drugs down their throats. This issue only begs the question, how many people will be put on psychiatric drugs 20 years from now? This entry was posted in Uncategorized on September 16, 2016 by Justine Arlexandra Cardone. Have you ever sat in a room where every single person is staring at their phone screen, preoccupied by the world of technology? The room is silent. This silence is not on purpose but is rather a result of the lack of conversation. Everyone in that room is too focused on the texts that are on their phone screen, to simply look up at talk to each other. What is the point of them all being together, when they don’t even speak to each other? The answer is that there is no point. This sounds silly and impractical, but this situation happens all of the time. With the recent technology that allows us to send messages to others many miles away in just seconds, we obviously use this to our advantage. This way of communication, called texting, has taken emphasis off of the importance of human interaction, and has glorified interaction by cyber means. Although texting was created to enable quicker and easier terms of communicating, it has a rather damaging effect on real interaction-face to face- where as within a text message, the emotion and purpose behind what is trying to be said can be misinterpreted. We are slowly lacking the ability and “skill” of human interaction and because of the way texting is valued today, it is hard to see the various disadvantages of it. 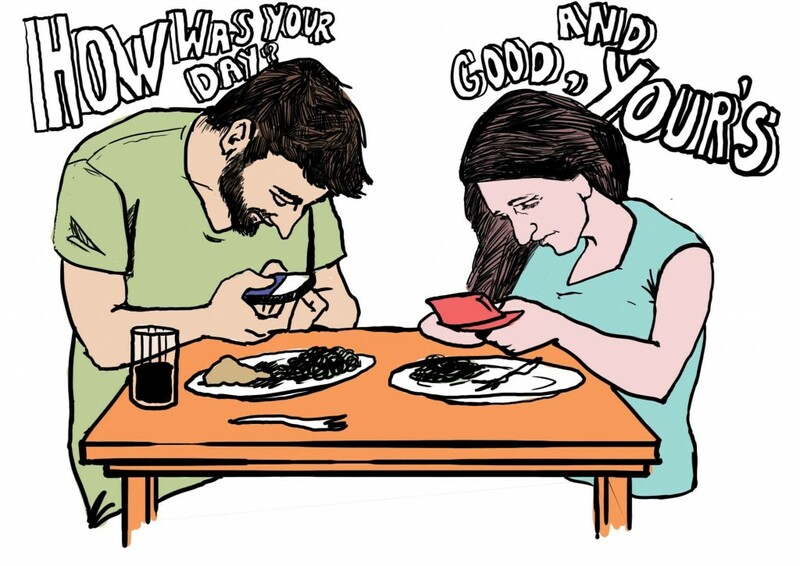 Consequently, if you look up from your phone screen for even a short while, you will surely see that this is not the most beneficial type of communication to ourselves and society. The advantages of text messaging are simply outnumbered by the disadvantages of it. 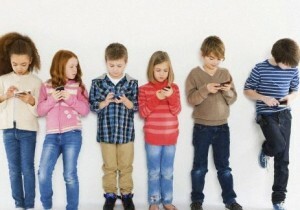 It is a problem that a few clicks on a phone screen means more than oral conversations to the majority of our society. Starting with the teenage generation today, people are finding it more and more difficult to speak and carry out conversations. As human beings, we should find it comfortable and normal to speak to other human beings, but the invention of texting has prohibited our natural ability to do so. According to this article, texting hinders all types of communication including, written, face-to-face, and surface level. It also causes problems with social boundaries and worsens our impatience and need for instant gratification. It states that texting takes away from building social confidence skills and the need for meaningful conversations. It also says that we get so used to writing in “slang”, that it may start to appear in our formal writing. Lastly, the article explains that we we become impatient with texting and break social boundaries. Since texting is such a fast paced thing, we expect an instant answer like we would get with a phone call. This causes us to text people when a phone call would not be appropriate and become upset when we don’t get an instant reply back. Imagine watching a movie where all of the characters sit in one room, not speaking to each other, texting on their phones. This would by far be the most boring, and unnecessary movie of all time. 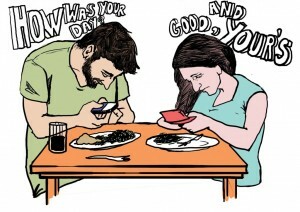 The entire time you would be thinking, “Why don’t they put down their phones and talk to each other?” So why don’t we? Why do we feel the need to be having conversations with people miles away, when there is someone sitting right next to you, across from you, and diagonally from you? Movies need interaction and variation, just like we do. Although there may not be an immediate solution to this problem, I do encourage that we slowly put down our phones and face real life, and what real life interaction and communication consists of. If we do, we will surely see an increase in our abilities to connect with others and it will leave less room for misinterpretation. If we do not, advancing technology will lead us to further bury ourselves in unrealistic means of communication. This causes us to lose sight of the importance of human relationships, and aid us in letting reality zoom by, because we were too focused on a tiny screen in front of us. If this seems like a scary truth and future, then ask yourself; Why don’t we put down our phones and talk to each other? This entry was posted in Uncategorized on September 13, 2016 by Justine Arlexandra Cardone. Ice cream is such a great, yet dangerous treat that almost everyone enjoys. Great, because its so delicious. Dangerous, because it has so much sugar and if you eat too much of it, you pack on the pounds fast. Ice cream is in the same category as cake, brownies, cupcakes, etc., because of how unhealthy it is known to be. Unlike the other desserts however, ice cream is known to have a substitute. Many times I have heard my friends say “lets get frozen yogurt, its not even bad for you like ice cream is,” or even “we should get froyo, its healthy!” Of course I always go along with them, however, I’m not quite sold on the idea that frozen yogurt is good for you or even that it is significantly better for you than ice cream! I was for sure interested in finding out just how “healthier” froyo is than ice cream being that I work at an ice cream place and love both of the treats equally. After researching and comparing the two, I came across this article! What I found is that it really depends on what unhealthy aspect you are trying to stay away from. In terms of fat content and overall calories, froyo is the better option. However, if you are trying to lower your sugar intake, neither ice cream or frozen yogurt is the treat for you. Both options have just about the same about of sugar. Froyo itself has a bucket load of sugar and you’d be lying if you said you didn’t add the delicious toppings that are associated with it. With the candies and hot fudge that people top their treat with, comes with even more sugar to overpass the sugar content in ice cream. I also found this interesting article that states that although froyo is said to just be yogurt that has been frozen, it does not have the same nutritional benefits that a normal cup of yogurt has. During the process of making froyo, the healthy cultures of bacteria are killed and never make it to your stomach. So not only are you more than likely consuming a high amount of sugar, you are also not receiving the health benefits that you would get from just eating regular yogurt. That being said, if you are on a diet, anything in moderation is okay. Froyo should never be considered a health food but it can be a slightly better option than ice cream if you are looking for something with fewer calories and less fat. You can keep the calories and artificial sugar and or sugar preservatives down by topping the treat with fresh fruit instead of candy and by making sure that you stick to the serving size. If you are strictly watching your sugar intake but want to indulge, stick to your ice cream if thats what you prefer because you are not doing yourself any favors when it comes to frozen yogurt and its added sugary toppings. What I hope you all get from this blog is, eat whatever you want but never let anyone tell you that frozen yogurt is healthy or is good for you because if you eat too much of it, you”ll be quite surprised when you step on the scale. This entry was posted in Uncategorized on September 8, 2016 by Justine Arlexandra Cardone. Hello SC200! My name is Justine Cardone and I am from Buffalo, NY! I am a freshman and am undecided, however, I am thinking about majoring in Health Policy and Administration. After attending the first 2 lectures of SC200, I knew that this was the right class for me. I needed a Gen Ed science and this course was recommended to me! After reading about what the course would hold, I decided to take it because it sounded like something I would enjoy. After hearing what Andrew and his TA’s had to say about the course, my thoughts remain the same. Throughout my schooling, I always thought that I wanted to be a doctor or PA (mostly because of growing up watching Greys Anatomy totally thinking that I could be Meredith Grey). However, this past year I did a lot of thi nking. I never hated taking science courses in high school. In fact, I always found science to be kind of interesting. My interest sadly did not reflect in my ability to fully click with what I was learning, hence, why I don’t plan on pursuing a major in science. I didn’t like how we would be expected to memorize the periodic table, layers of earth, or what made plants green and then spit it back out on a test. What also attracted me to this course was how I will deeply think about what I am learning and not do what I just described as I would in past High School classes. 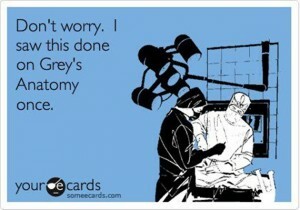 Getting back to my future…I guess it also doesn’t help my childhood want of being Meredith Grey that every time I see excessive amounts of blood or get blood work done I pass out. Passing out from blood work is actually how I got one of my 4 concussions in the past year! After so many concussions in one year, I started researching about them and even focused some of my school research projects on the long term effects of having multiple concussions. I also was interested in the movie Concussion starring Will Smith thinking it would be relatable. The movie focusses on CTE which is a very serious brain condition which is brought about by having various concussions. The group most effected by this is players in the NFL. To read about CTE, click here! With that being said, I am very excited to see what this class and semester brings and hope it goes well for everyone!! This entry was posted in Uncategorized on August 29, 2016 by Justine Arlexandra Cardone.